At San Diego Comic Con last year, fans of Star Wars saw the announcement of three new series from Marvel, all of them focusing on our favorite characters from a galaxy far, far away. Today, fans across the U.S. celebrated the release of series 1, issue 001. Along with the cover above, there are dozens of variant covers that have been illustrated by some of the best artists in the business. To get an idea of some of the variants, check this out. The series is highly anticipated, most comic shops selling out before the day began. Don’t worry, the comics can be found online at eBay (for print copies), Marvel (for digital copies and directions to a local store for print copies), and online stores like Mile High Comics (for print copies of variant covers). This series marks the return of the Star Wars saga to Marvel, who published Comics for the series from 1977-1987. Dark Horse Comics took over as the publisher of Star Wars comics in 1991. 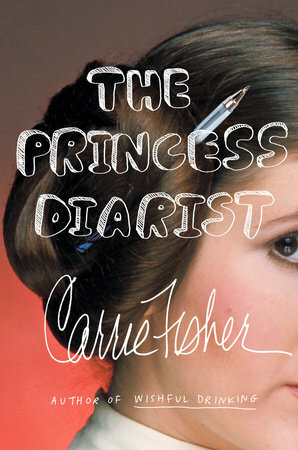 Once Disney bought Lucasfilm, it was only a matter of time before the transition was made. 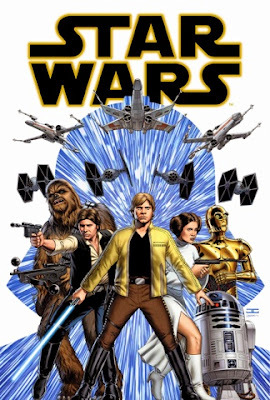 Now, every comic that has been released before 2015, whether Marvel or Dark Horse, is considered to be part of the Legends Universe in the Star Wars realm. 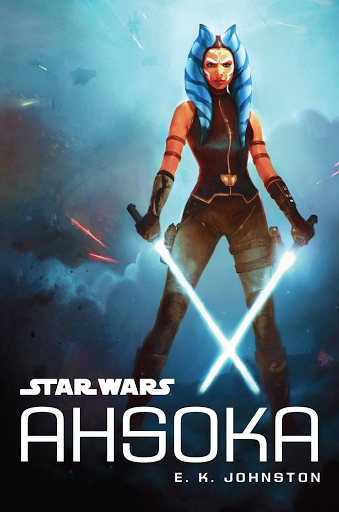 Today’s comic is the first comic that is officially in the Star Wars canon. In February and March of this year, Star Wars fans can expect two more series focusing on two specific characters: Darth Vader and Princess Leia. In the new issue (out today), fans can catch a brief glimpse of the two upcoming series. 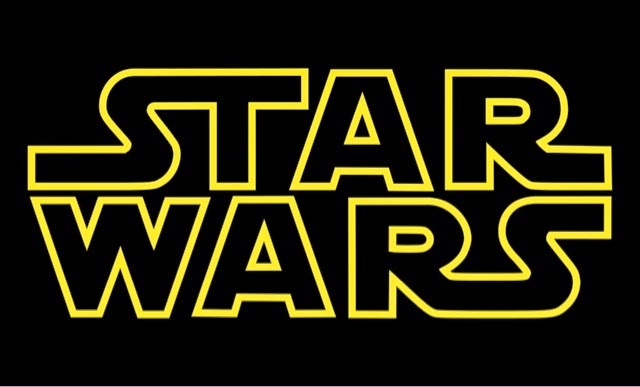 For more info on Star Wars, be sure to check out their website, Twitter, Facebook, and Tumblr. Be sure to check out Marvel’s website for official news on Marvel tv shows, comics and movies. November 15 & 16, at the Carolina Theatre in downtown Durham, NC, hundreds of fans gathered together to celebrate a universal love of comics, tv shows, movies, and more at NC Comicon! We were among those hundreds and we loved every minute of our time there! 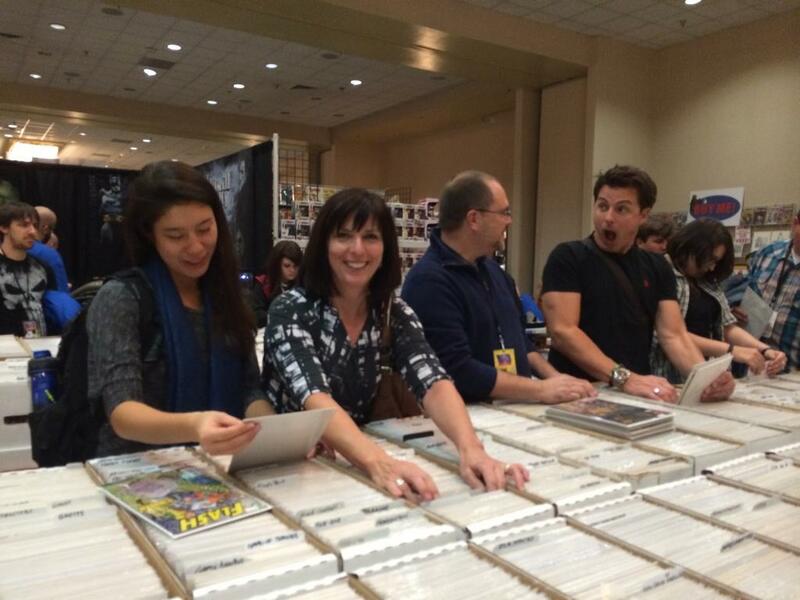 This year, the featured guests were none other than John Barrowman (Doctor Who, Arrow, Torchwood) and his sister, Carole (author, with her brother, of Bone Quill, and Hollow Earth among others). Saturday of the con began with a Q&A with John Barrowman. He was filming in Vancouver the night before up until the time of his flight and arrived at the convention center just in time to start the session. Dashing out onto the stage with luggage in tow, he began a hilarious and sincere hour of question and answer with fans. He answered questions from his favorite color (asked by a 3 year old girl; it’s Blue) to his advice for aspiring actors (don’t do it unless your serious about it, and be trained in your craft). He didn’t uphold his tradition of the pants drop (remember he was fresh off the plane) but he followed through and did the deed at his Sunday session, and upon request we got to hear his Scottish accent. At the Sunday session we also learned who were the biggest stars they had in their cell phone which led to John ringing David Tennant. He’s quite an entertainer! He did a picture session with fans who had purchased tickets and he and Carole did autograph signings multiple times throughout the weekend. They are both so gracious and great people! At one point during the photo session John whistled to quite down the crowd and asked people to please organize themselves in a better manner to avoid traffic jams in the hallway. He had a conversation with everyone who came up to get an autograph and it didn’t feel as rushed as many convention lines can. The day consisted of many wonderful panels including how comics are conceptualized and brought to life, artist roundtables, and our personal favorite, a writing workshop with Carole Barrowman. She gave an excellent 45 minute workshop about how to improve your writing, and it was a privilege to learn from her. She made some excellent points, the main takeaway of which was to make sure that your writing has energy. She made the workshop interactive and captivating. We wish Carole was our English professor! The dealer’s room was filled with stalls of comic books, action figures, drawings, posters, and anything else you’d want or expect to see at a comic book convention. We really enjoyed that the focus was actually on comic books, as some conventions have a poor selection of vendors and focus on other aspects than comics. Towards the end of the day Saturday evening John and Carole came into the dealer’s room to shop for comics. Throughout the entire weekend, Artist’s Alley was filled with amazingly talented people selling prints, hairbands, jewelry boxes, drawstring bags, exclusive comic books, and so much more. We had the pleasure of meeting Chris McJunkin, a freelance illustrator who is currently working on Zero’s Heroes for New Haven Comics. He had some amazing pieces for sale, including some Doctor Who and Star Wars pieces. 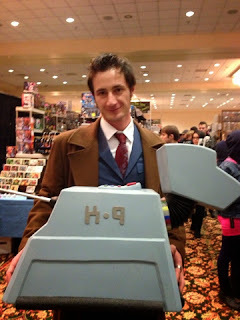 We also had a chance to speak with Kelly Yates, an artist best known for his work on Doctor Who comics at IDW. He told an awesome story about one particular piece he did featuring the Eleventh Doctor and Amy and Rory. 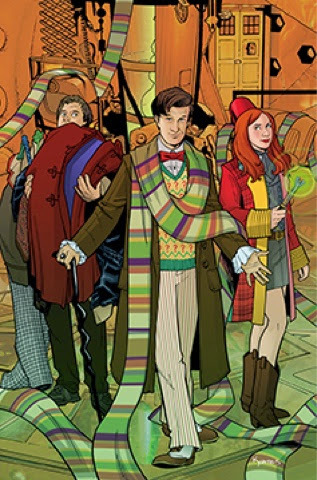 The goal of the piece was to combine all the Doctors in one image; BBC was concerned about doing so, but they loved his piece so much that they approved it the minute they saw it. One of the greatest things about being a part of this amazing community of fans is that giving back is a big part of who we are and what we do. Throughout the weekend, we encountered many artists who were giving some of their proceeds to charities. The 501st Legion had a raffle to raise money for the Make-a-Wish Foundation. The grand prize included books, shirts, artwork, comics, action figures, and few other Star Wars trinkets. Many vendors were donating a portion of their profits to charities of their choice, including one vendor who donated half of his proceeds to Wounded Warrior Project. He had many tin signs, featuring some favorite comic book heroes. Comic conventions are one of the best places to see cosplayers, including many quality costumes. Throughout the entire weekend, we saw many Doctors, several Jack Harknesses, a bunch of Wonder Women, a baby Spider-Man, and Belle from Beauty and the Beast. We even saw the Tenth Doctor walking K-9! Overall, NC Comicon was a terrific weekend! As mentioned before, this was a comicon that truly focused on the comics, with a splash of television and film. With a unique collection of venders, artists, guests, cosplayers, and visitors, it’s no wonder that NC Comicon is one of the best in the state. If you are ever given the opportunity to go, you will not be sorry. In the mid-1990s, one man’s idea launched a group that has become an international force for good in the community. At Cons, charity events and public events, stormtroopers, Darth Vaders, and other imperial officers can be seen in full costume – seeming to have come directly from the movies. Fans of Star Wars have been collecting props, action figures, comics and other paraphernalia for many decades. 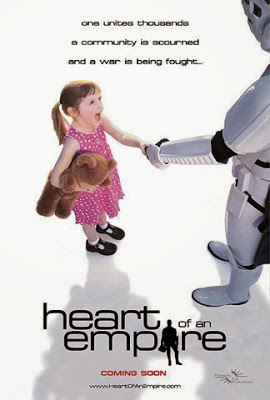 Albin Johnson, as mentioned in the film Heart of an Empire, had an idea that he wanted to dress up as a stormtrooper. With support of his friends and fellow Star Wars fans, Albin’s dream has become a reality. 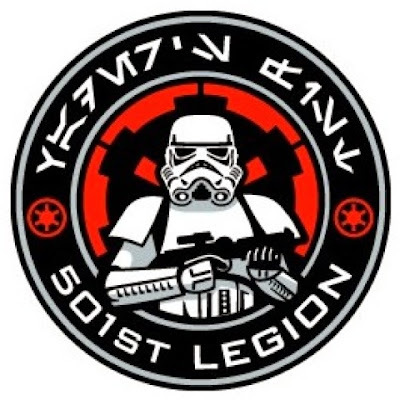 Chapters of the 501st Legion can be found all over the world, which is more than Albin could have dreamed of. This past weekend, Albin’s dream-turned-reality made its way into my line of sight. At ConCarolinas in Charlotte, North Carolina, I was formally introduced to the Carolina Garrison of the 501st and the whole 501st through Jay Thompson’s documentary, Heart of an Empire. Don’t get me wrong, I had heard of the group before, but I had no idea just how big and well-known the group is. And let me tell you, as a life-long fan of the Star Wars trilogies and EU (Expanded Universe), the fact that the 501st group exists excites me. Not only are these groups active fans of the franchise, they are also active in their communities as individuals that want to have a positive influence on the people around them. In fact, Heart of an Empire focuses on the influence these men and women have had on other people. I refuse to give anything away…so, PLEASE watch the film! It will change your life with its beautiful story. In addition to seeing the film, I was able to sit in on an interesting panel on Saturday morning at ConCarolinas: Star Wars. One thing that I knew would be discussed is the fact that Disney now owns LucasFilm and what that will entail for the upcoming sequel trilogies. Just among the four panelists, the tension was running high. They even went into the lengthy argument over the prequel trilogies and whether or not they are good or necessary for the Star Wars saga. However, I believe that the most important point from the panel is that the upcoming trilogy should not be judged harshly before it is released. I believe fans of the saga should take the “innocent until proven guilty” approach. Be excited for the films! Be hopeful that the stories will be great! Have faith that JJ Abrams and the entire cast and crew will do well with the films! Now, if the films come out and are a success, YAY!!!! You had faith and you are being rewarded accordingly. If the films are terrible, well that’s okay too. Once that happens, go to town criticizing and analyzing and complaining – you deserve to. But we should not set ourselves up with great expectations of what the films will be when we have no true idea of what is coming! That’s just my simple opinion. For more info on Star Wars, check them out on twitter, Facebook, tumblr and the official website. For more information about the amazing Con that is ConCarolinas, check out their website! Photos courtesy of the official websites of the 501st Legion, Star Wars, and ConCarolinas.